So what is Spy Con 2018? Spybrary Host Shane Whaley was keen to find out more, so he got chatting with one of the organizers of Spy Con Matt Sherman who was kind enough to come on the podcast to share more with our listeners. On this episode of the Spybrary Spy Podcast, Matt reveals more about the first ever Spy Con, including who is lined up to speak and what special exhibits may be on show! 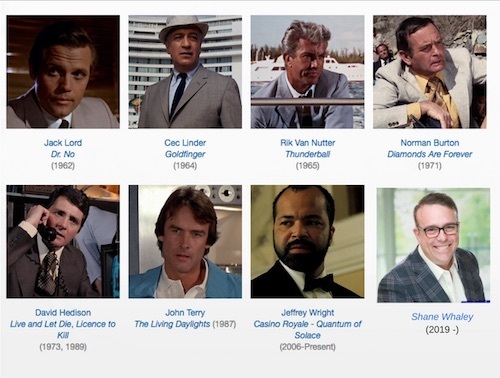 One of the special guests will be James Bond Girl Plenty O’Toole whose swimming pool landing provides one of the best lines in any 007 movie! 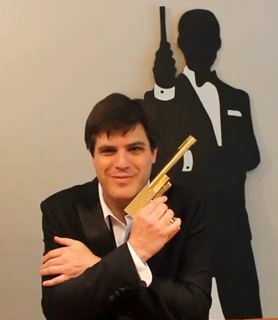 Matt admits Spy Con will be a bit ‘Bond top heavy‘ but will include discussion, content and fans from other spy shows including The Man from UNCLE, The Avengers and many more. There is also a Spy School track on offer. Be a guest and/or panelist at Spy Con. Matt also shares with us how you could be a speaker or panelist at Spy Con. 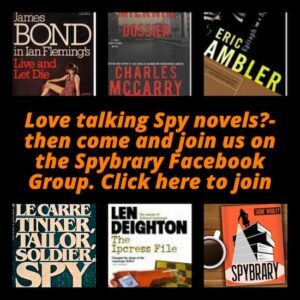 A splendid opportunity for spy geeks and authors to share their knowledge with like minded spy fans. Of course, Shane takes the opportunity to ask Matt more about his Bond location tours, 007 collection and of course he is interrogated sorry questioned in the quick fire round! For more information visit Spy Con Official Website. 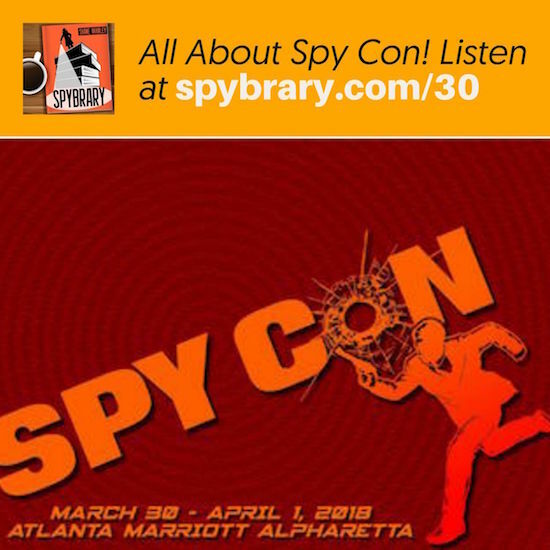 SPYBRARY COMMENT – This is the first ever Spy Con event I would love to see these happen every year so if you can get yourself down to Atlanta please do consider registering. I will be attending and supporting the event and I would love to meet Spybrary listeners there. Rumour has it a certain Jack Barsky, the East German born KGB sleeper agent will be attending too! HGTV, VH-1, TLC, TNN and in Ripley’s Believe It or Not! The Washington Post, Parade Magazine, Time and now on the Spybrary Spy Podcast. Live and Let Fans – New Orleans Bond Fans Event in 2018.